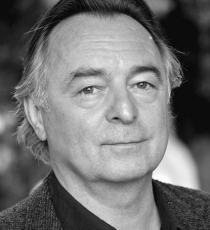 Ron Cook is a well-known English actor with credits across stage and screen. He is most recently recognised for playing Mr Crabb in ITV’s Mr Selfridge, and other television appearances include Personal Affairs and Little Dorrit. Ron’s filmography comprises of triumphs such as Chocolat and Hot Fuzz, and stage roles have included The Ruling Class (Trafalgar Studios) and King Lear (Donmar Warehouse).